amfAR, The Foundation for AIDS Research, raised over $2 million at its annual New York Gala last week at Cipriani Wall Street. 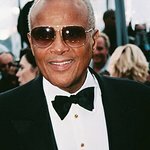 The Foundation honored legendary activist and revered entertainer, Harry Belafonte; amfAR supporter and actor, Rosario Dawson; and photographer Patrick Demarchelier for their exceptional contributions to the global struggle against HIV/AIDS. Friends and longtime colleagues of each honoree presented the honors with praising words and admiration – Whoopi Goldberg presented to Belafonte; Chris Rock presented to Dawson; and Anna Wintour presented to Demarchelier. Guests in attendance included Jeremy Piven and Coco Rocha, who opened the night together, Heidi Klum, Naomi Campbell, Chelsea Clinton, Brooke Shields, Marcia Gay Harden, Donna Karan, Karlie Kloss, Toni Garrn, Zachary Quinto, Kelly Rutherford, Kendall Jenner, Vera Wang, amfAR Founding Chairman Dr. Mathilde Krim, and amfAR Chairman Kenneth Cole, among many others. A highlight of the night was an appearance by actor and amfAR supporter, Brooke Shields, who announced a $1 million donation from amfAR Trustee Don Capoccia to amfAR’s Countdown to a Cure for AIDS initiative. Inspired guests took out their cell phones and began texting pledges, generating an additional $120,000 for the Cure Campaign. · An exclusive neon work titled “The Time Is Now!” by celebrated British artist Tracey Emin got the auction off to a dramatic start, selling for $140,00 within seconds. · Honoree Patrick Demarchelier generously donated a private portrait sitting, which was presented by Naomi Campbell. After a round of vigorous bidding, Demarchelier announced he would offer two portrait sittings to a pair of competing bidders for $120,000 each. · In celebration of the 250th anniversary of Hennessy, an extremely rare, 250 liter barrel of Collector Blend Hennessy Cognac was auctioned for $150,000. · Heidi Klum modeled a pair of Harry Winston diamond Sunflower Cascading Earrings, which she commented would make a wonderful Valentine’s Day gift for a lucky lady in the audience. After a round of bidding, the 1.94-carat earrings sold for $50,000. · An exclusive photographic print of Andy Warhol by long-time amfAR friend and iconic photographer Christopher Makos rounded out the auction with frenzied bidding. Harry Winston generously served as the event’s presenting sponsor, launching a new and unprecedented multi-event partnership with amfAR. The event’s signature sponsors included Moët Hennessy, M•A•C Viva Glam, and Mandarin Oriental, New York. Chairs of the event included Alessandra Ambrosio, Donald A. Capoccia and Tommie Pegues, Chelsea Clinton, Andy Cohen, Kenneth Cole, John Demsey, Jamie Foxx, Anne Fulenwider, Nina Garcia, Toni Garrn, Milutin Gatsby, Whoopi Goldberg, Nayla Hayek, Donna Karan, Karlie Kloss, Michael Kors, Mathilde Krim, Ph.D., David and Lauren Bush Lauren, John Legend, Cindi Leive, Terry Lundgren, Julianna Margulies, Jeremy Piven, Howard and Cindy Rachofsky, Vincent Roberti, Bill Roedy, and Stefano Tonchi. Vice chairs included Arlen and Michele Andelson, Maria Bogdanova, Ronnie M. E. Budja, Jonathan Canno and Pierce Canno Roberts, Steven Kolb, and Stephanie and John Roberts.